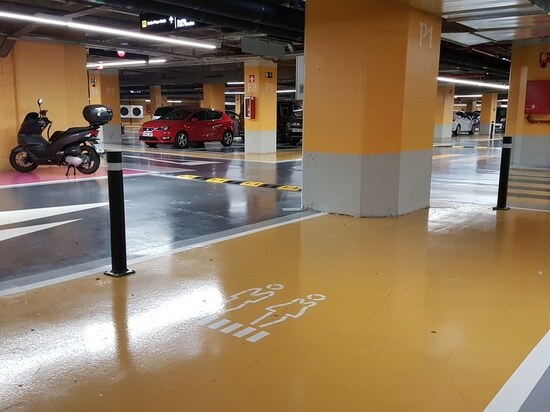 A-Resist bollards with plate installed in the Glòries Shopping Center in Barcelona. 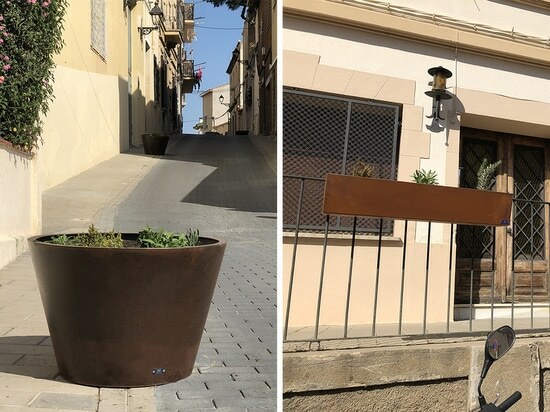 Corten stainless steel planters installed in Masnou old town. 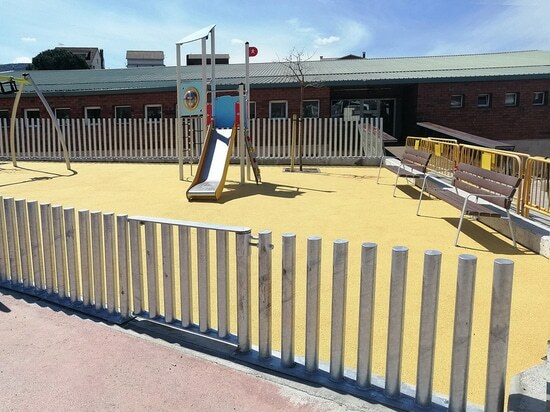 Combined TEI large-size planters and custom planters for railings. 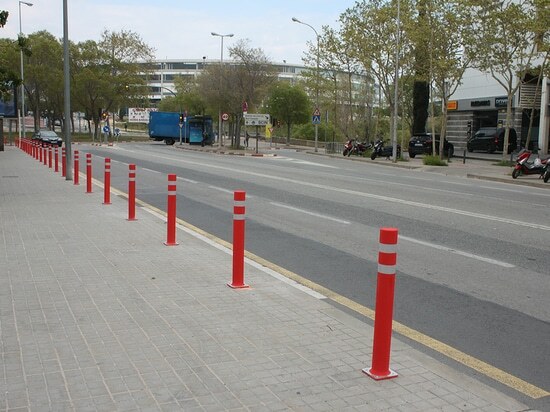 A-RESIST polyurethane red bollards with plate, DT (double reflective strip), installed in Badalona. 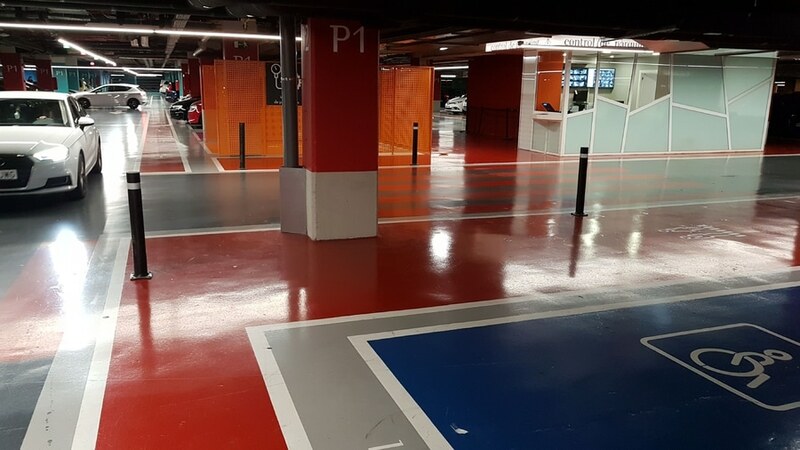 Melbourne automatic security bollards of 500x220 mm. 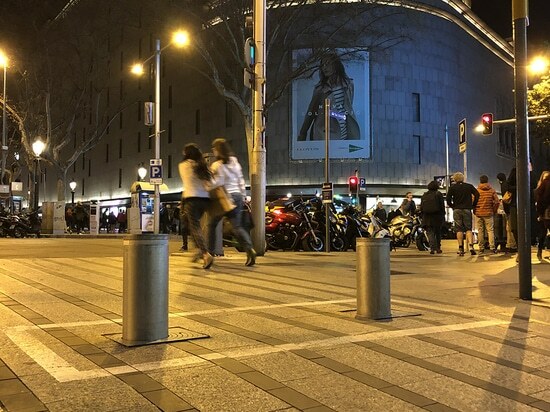 Melbourne automatic security bollards of 500x220 mm. 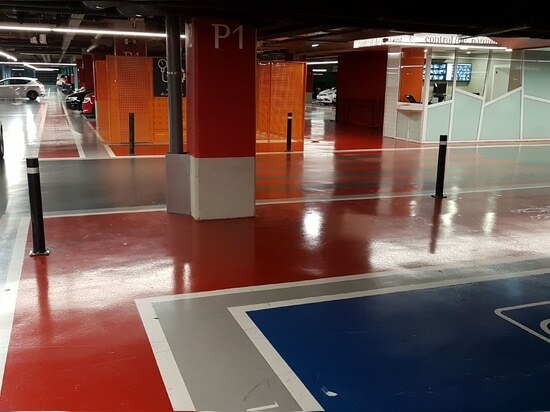 in Portal de l’Àngel (Barcelona) to avoid passage of vehicles and to protect pedestrians.